1. One Percent for Art: "In 1959, the Philadelphia Redevelopment Authority (RDA) adopted the first "One Percent for Fine Arts" program in the United States, thus making the commissioning of new works of public art integral to the urban renewal process. For each project built on land acquired from and assembled by the RDA, the selected developer must budget no less than one percent of the total building construction cost toward commissioning original, site-specific works of public art." This is why there is so much good public art all over the city. 2. Living roof bus shelters: Why not? 3. 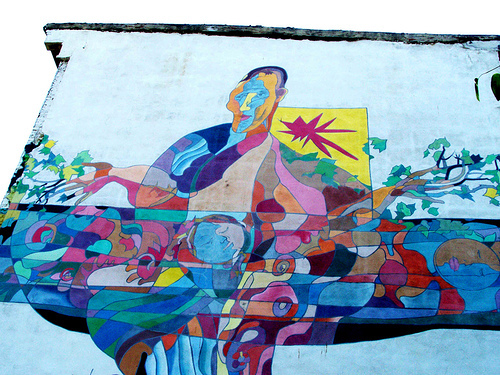 The Mural Arts program. Got a graffiti problem in the neighbourhood? Get the taggers and other community members involved in creating these large-scale street murals. Jane Golden started the work back in 1984. There are now more than 3,000 murals, and it's the largest public art program in the US. Spend some time appreciating them on the Mural Explorer. 4. 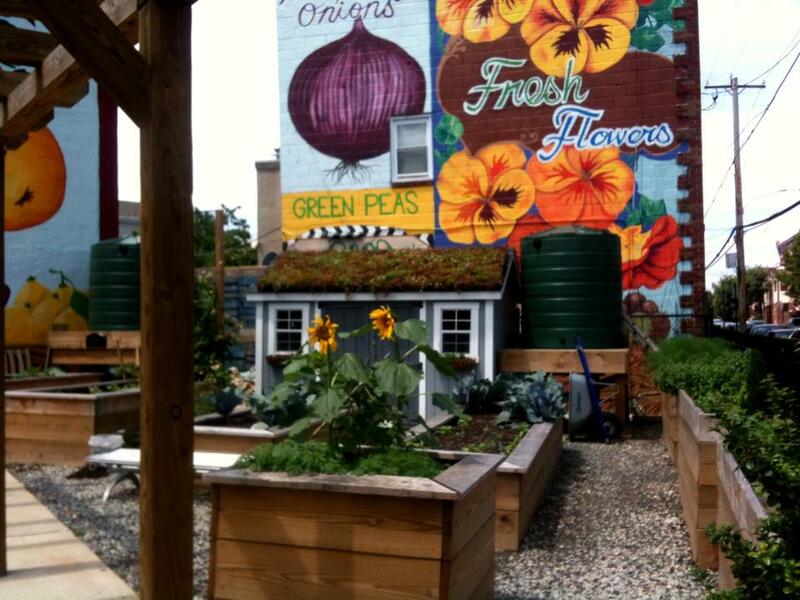 Community gardens. You see these guys around NYC too. Just a nice way to use otherwise empty land. Some of them are so charming it's almost kind of annoying. 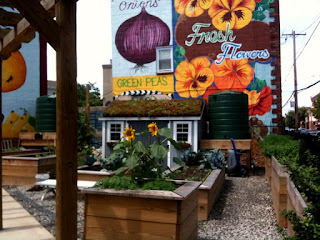 Here's a picture of a community garden with a street mural above it, just off Passyunk Avenue in South Philly. Cute overload. 5. Reading Terminal Market. The granddaddy of all food halls. Where I ate an impossible to re-create anywhere else meal of jambalaya (Beck's Cajun Cafe) with a chocolate egg cream (Hershel's East Side Deli), followed by an Amish apple dumpling (Dutch Eating Place). Then I went for a lie down. There was also a really cool place selling only cookbooks which I spent far too long wandering around. 6. 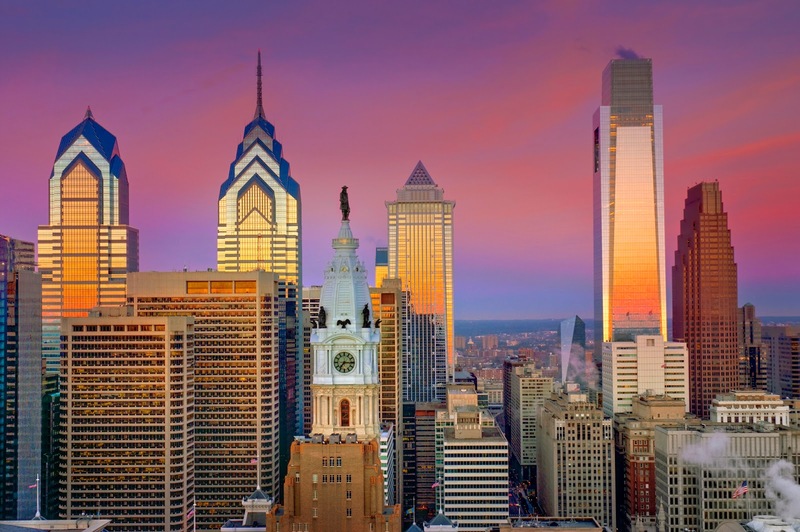 Philly Beer Week - There's a fantastic beer community in this town, with lots of craft brewers and they all pull together for this highly popular event that takes over the bars and breweries of the city. Still angry about the fact that my jetlag meant I missed a rare chance to try gypsy brewer Mikkeller's beer. Ah well. Watch this video about Benjamin Franklin drinking beer. 7. Parks, parks and more parks. Seems like everywhere I went in that city I was bumping into a large, leafy park. Or a park with a huge art show happening in it. Or a park with a busking bluegrass band (who were really good). Or a nice playground. Man, the dogs even have their own parks. Ahem, Manchester. 8. The grid. City planning! It means there's a street grid, so you always know where you are. This is something we could never replicate, obviously, but I still covet it. 9. A riverside trail. People don't appreciate stuff like the city's beautiful trail along the Schuylkill River enough. And again, I know that pre-colonial cities have a few more limits on what can go where. But I wish our waterways in the city centre were more accessible or generally made more of, instead of being hidden away, paved over or fenced off. (Though hats off to CityCo and The Piccadilly Partnership and their efforts to green up the place, and for helping cool stuff like Atelier[zero] happen). 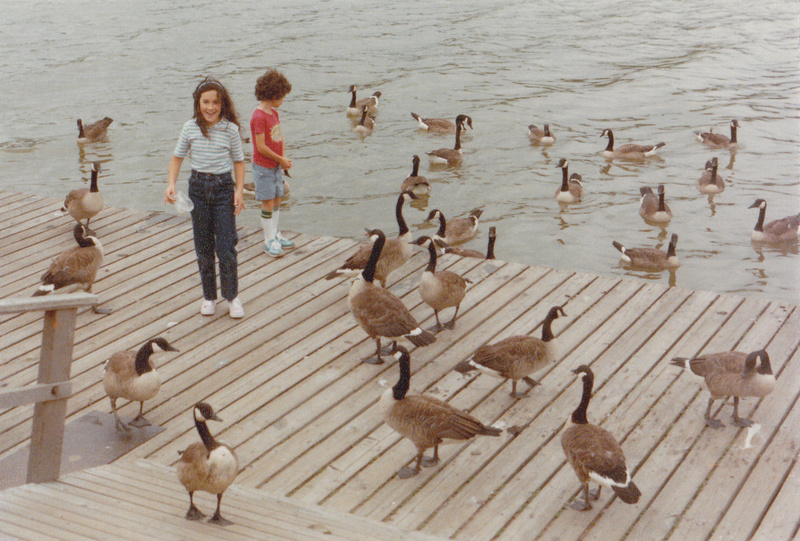 Anyway, my family and I used to go here a lot. Here's a picture of me and my brother feeding some geese near Kelly Drive. Images: (from top) Philadelphia skyline by B. Krist for Greater Philadelphia Tourism Marketing Corporation; green bus shelter roof courtesy Roofmeadow; Mural at 17th and South by Trishylicious via Flickr, all others me. Full disclosure: I travelled to Philly as the guest of GPTMC and the Sofitel, whose crispy breakfast bacon haunts my dreams. 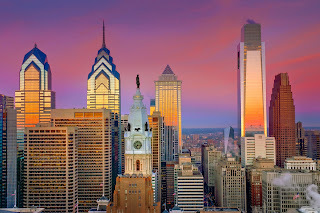 If you want to visit Philly too, all the info you need's here.